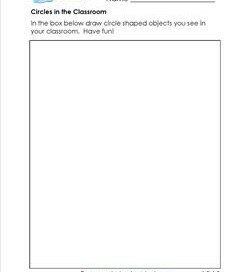 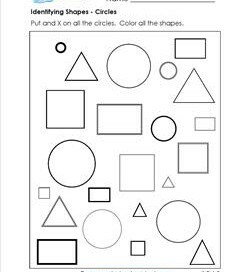 The shapes on this worksheet are randomly placed and spaced. 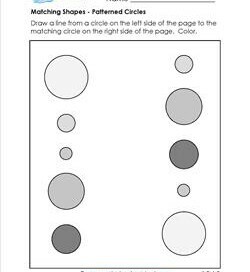 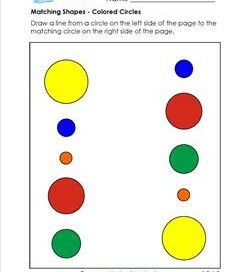 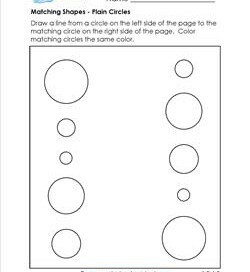 Kids identify the circles by putting an X on each one (hint: there’s 7 of them!). 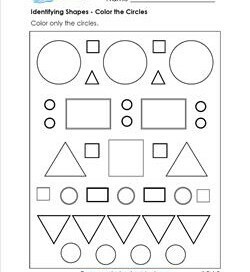 Color the shapes.